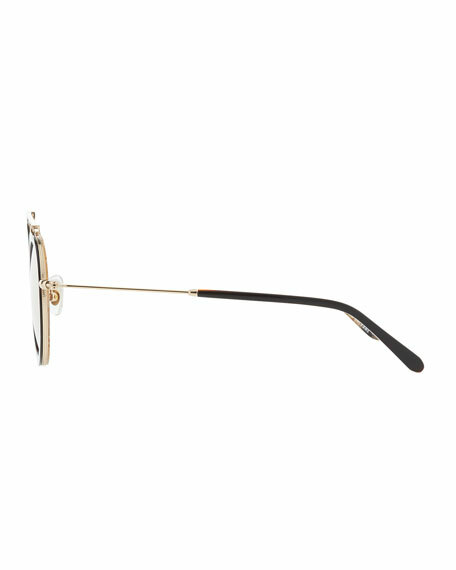 Handcrafted, 24-karat gold-plated metal frames with acetate trim. 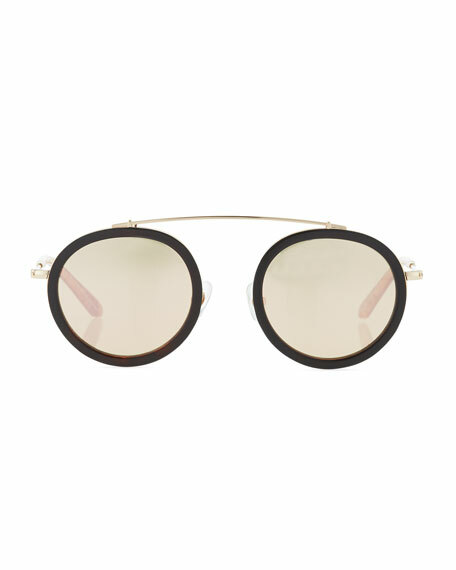 Round, mirrored lenses with antireflective coating. Curved brow bar; silicone nose pads. From its name (a term historically linked to Mardi Gras) to its packaging (which depicts the 1906 Krewe of Rex parading down Canal Street), every facet of KREWE eyewear proclaims the founder's love of New Orleans. An artist, photographer, and NOLA native, Stirling Barrett founded the brand in 2013 to pay homage to his roots through modern eyewear. 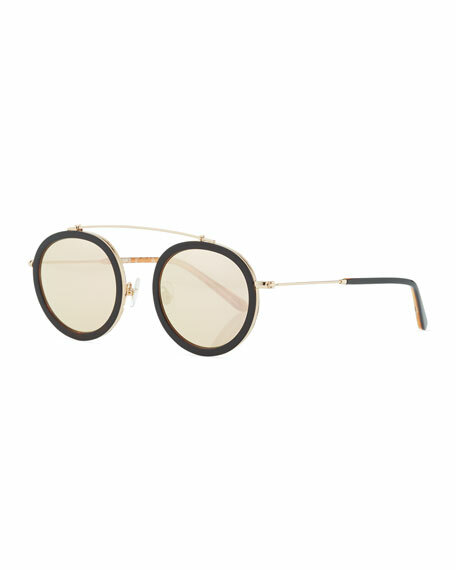 Each frame is named after a New Orleans site or cultural reference and handmade from lightweight, heat-sensitive acetate for extreme pliability. For in-store inquiries, use sku #2394042.